Sticks weigh approximately 32 ounces. FREE SHIPPING!!!!! 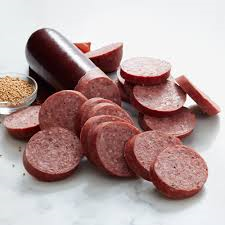 Leroy Beef Summer Sausage 1 lb - Sticks weigh approximately 16 ounces. Leroy Beef Summer Sausage 2 lbs - Sticks weigh approximately 32 ounces. 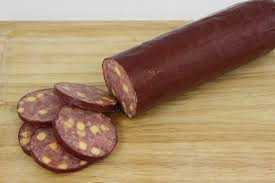 Leroy Cheddar Cheese Summer Sausage 1 lb - Sticks weigh approximately 16 ounces. Leroy Cheddar Cheese Summer Sausage 2 lbs - Sticks weigh approximately 32 ounces. Leroy Garlic Summer Sausage 1 lb - Sticks weigh approximately 16 ounces. Leroy Garlic Summer Sausage 2 lbs - Sticks weigh approximately 32 ounces. Leroy Jalapeno Peppercheese Summer Sausage 1 lb - Sticks weigh approximately 16 ounces. Leroy Jalapeno Summer Sausage 1 lb - Sticks weigh approximately 16 ounces. Leroy Jalapeno Summer Sausage 2 lbs - Sticks weigh approximately 32 ounces. Leroy Original Summer Sausage 1 lb - Sticks weigh approximately 16 ounces. Leroy Original Summer Sausage 2 lbs - Sticks weigh approximately 32 ounces. 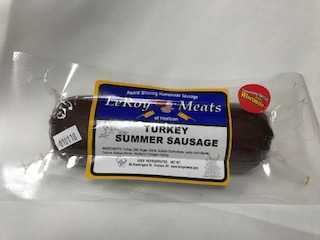 Leroy Turkey Summer Sausage 1 lb - Sticks weigh approximately 16 ounces.